Yes, sometimes I struggle to know what God is really doing. But I know..."as for God, His way is perfect"...so I continue on, knowing that He will explain later. 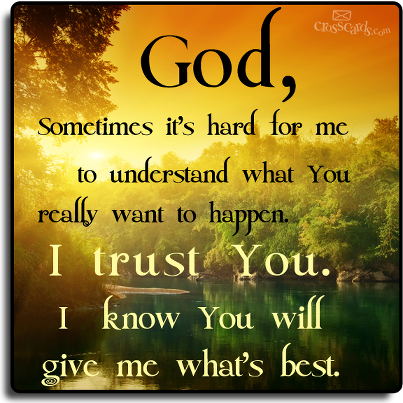 Trusting Him can be difficult but He really does know what is best for me...and for YOU! Fall back into His everlasting arms today and leave your struggle with Him. He has already assured us that the battle is not ours but His. He is more than capable! He is the everlasting God.